Were you waiting with an impatience difficult to hide? There, the time has come! The winter sales 2017 starts in Paris the January 11th. So you can’t miss, you’ve decided to give yourself a weekend in Paris, to be at the heart of the fashion capital of the world during this amazing time! Even so, regardless of your determination to go around with bags full of great shopping, you don’t know which way to go first. The Youth Hostel BVJ PARIS offers you a selection of 10 must-see shops! You will find Le Bon Marché at the left bank of the River Seine in Paris, behind the Boucicaut square. Created in the middle of the 19th century, this amazing shopping mall simply started the revolutionary concept of department stores! We will find there all the major fashion and beauty brands, as well as a huge delicatessen where we can find exquisite gastronomic products. On the right bank of River Seine, a few steps from the Tuileries Garden and from the Youth Hostel BVJ Louvre, you will find Colette, the first concept store to emerge in Paris. Concept store? It’s simply a luxury boutique that offers you a diverse selection of rare items that belongs to the same universe. If shops that are cool and unique are your thing, we invite you to dive in this little nest dedicated to fashion, beauty and design. Continuing on the east side, near the Rue de Rivoli, you’ll discover the Corner Bastille. This small shop displays the creations of the best designers of the moment. As if there weren’t enough, going up a little further north, a few steps from Rue de Turbigo, you’ll find a second Corner (le Corner Montorgueil) waiting for you! Looking for some local products? The Bleu de France shop, located in the popular Marais district, propose you a selection of articles exclusively made in French territory: espadrilles, ties, underwear, tablecloths, decoration objects…and of course, there’s no surprise to say that the main colors of this concept store are white, blue and red! A few meters from Rue de Rivoli, the rue Quincampoix holds another beautiful surprise: the Citadium store! Specialized in urban fashion, Citadium store has different brands of sneakers, men’s and women’s clothes and fashion accessories of all kind. 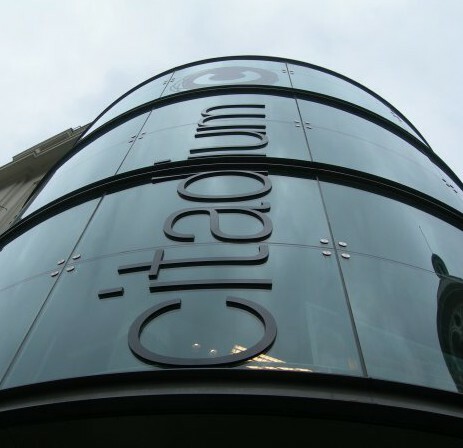 You can also find a Citadium shop at the Printemps, on Boulevard Haussman, a few steps from the Youth Hostel Paris/BVJ OPERA-MONTMARTRE. Located near the Opéra Bastille, at Rue de Charonne, the concept store French Trotters offers you a selection of men’s and women’s clothes and accessories created by French designers. These collections, whose trademarks are simplicity, refinement and radicalism don’t leave anyone indifferent! As the name says, Urban Outfitters presents you a collection of fashion clothing and accessories completely urban inspired. Besides clothes and accessories, this store, located in the BHV Marais and the Galeries Lafayette offers you articles and objects of home decoration. After all, who said that what is really trendy can’t be on sales? Here you’ll find a very particular place, that gives the same importance to men’s clothes, shoes and accessories as well to gastronomy and gardens decoration. A surprising mix in an atypical concept store, nestled under this amazing vegetable wall of Aboukir Oasis, that even offers you a luxury service of a real barber in La Garçonnière PARIS ! 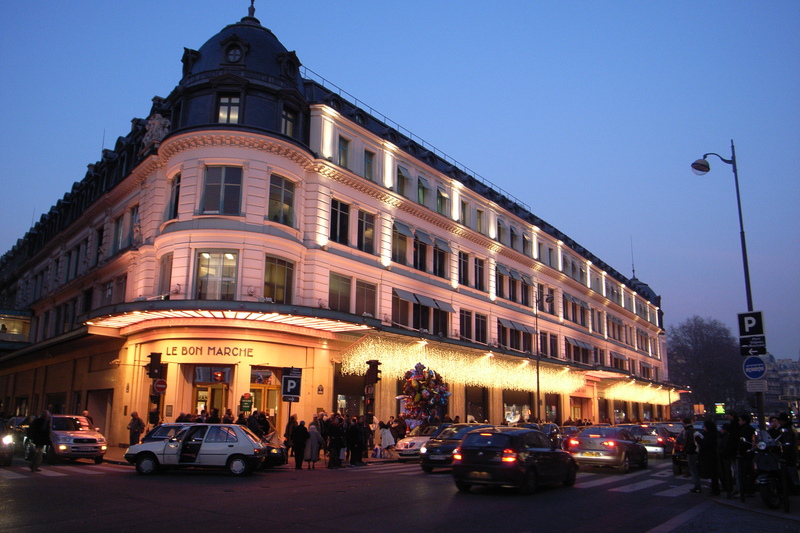 Located on Boulevard Haussmann, a 10 minutes walk from Youth Hostel BVJ Opéra- Montmartre, the Galeries Lafayette represent a real institution of the French capital. Created by the end of the 19th century, this unique place is dedicated to what is best in fashion, beauty, jewelry and gastronomy. Save a few hours to spend there! 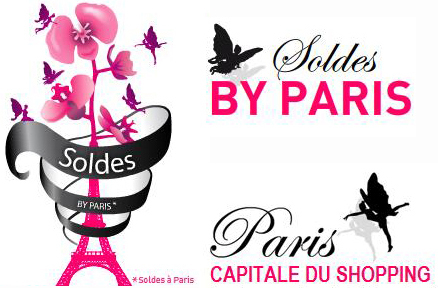 Following a similar example as Galeries Lafayettes (and located by their side), the Printemps Haussman equally offer you a range of fashion items for those who’s looking for a good prices: clothes, shoes, beauty products, jewelry…to give some new colors to your wardrobe! 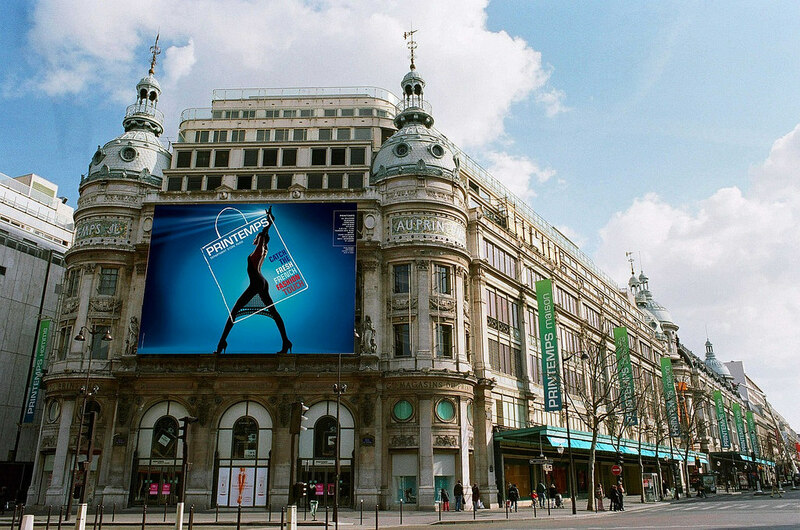 Last but not least, away from Paris downtown towards Saint-Denis, you’ll find Primark, the famous Irish brand specialized in low-cost clothing. A little visit to Primark is always a good opportunity to find great prices, either on sales or all throughout the year. So, decided to give yourself a shopping tour in Paris? To have a calm staying, we strongly recommend booking your nights before your trip. The BVJ offers you 3 different addresses so you can sleep without ruining your budget for shopping days at sales: BVJ Louvre, BVJ Champs-Elysées, BVJ Quartier Latin or BVJ Opéra-Montmartre!